An electronic OR gate performs the digital logic OR function. The output is only high when either of the two inputs are high. 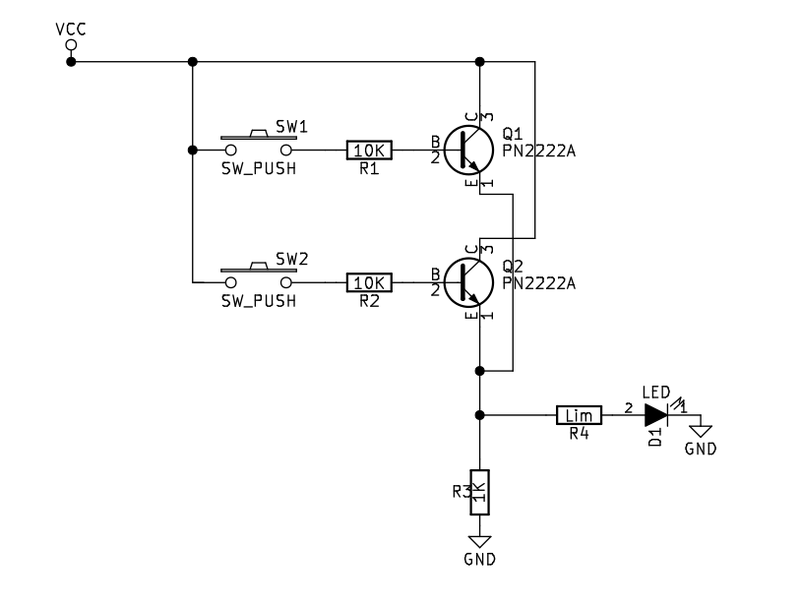 When both inputs are low, the output is low. 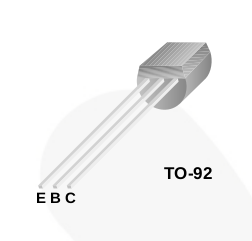 The example transistor OR gate circuit is implemented here using PN2222A NPN transistors (a variant of the 2N2222A) but many common NPN bipolar junction transistors could be substituted. The gate is built from two transistor switch circuits wired in parallel. The inputs to the OR gate are two manual push button switches each of which drives a transistor. This circuit is similar to the transistor AND gate in which the transistor switches are wired in series. However, by connecting the transistor switches in parallel, each forms an independent complete circuit between positive voltage and ground. Therefore either switch can drive the output high.